They come in with a smile and leave humming a Hebrew song. Walking through the halls, you can hear the sounds of lively discussion, of singing, laughter and prayer. Imagine a child who feels the warmth and spirit of Judaism. Imagine the pride of his/her parents. Welcome to Brighton Hebrew School, an exciting and innovative educational program in Brooklyn. Our School enjoys a well-earned reputation as a trend setter in creative Jewish education for children from Kindergarten through 8th grade. 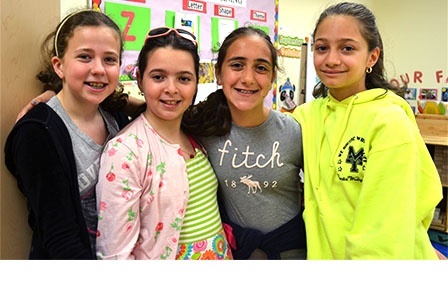 Brighton Hebrew School has exciting new programs, a dynamic staff and interested students. Our student body is made up of children from various backgrounds and affiliations. Synagogue membership is not required.